Exercise Bands are the easiest way to get a great workout without lugging around heavy weights. They also provide you with all the tools for an routine without spending mass amounts of money. 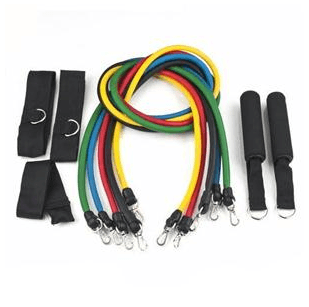 This 11 piece set allows you to change up the bands, or double them up when you improve. Your routine wouldn’t be complete without at least one band exercise! Resistance Bands are elastic bands made of Latex tubing used for strength training. 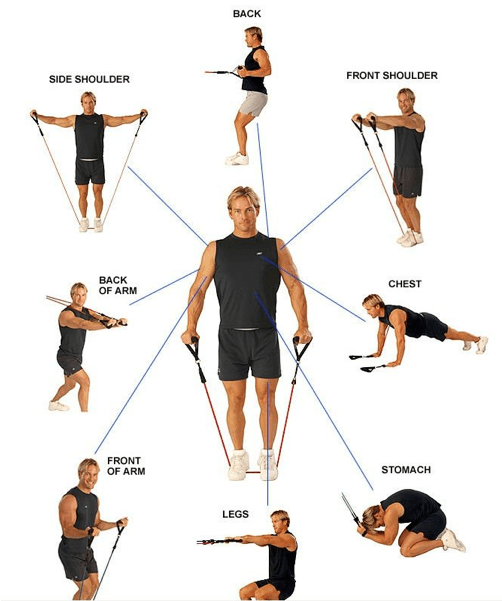 Designed to effectively building muscle strength and tone the body, there are resistance bands for a variety of exercise that specific muscle groups. Easily creating over 30 different resistance levels by attaching 1.2.3.4. Or all 5 bands to the handle. Perfect for Yoga, ABS, P90X workout. Don’t forget you can enter multiple ways and you can visit the site daily to enter for more chances to win this fitness giveaway!! Sharing on facebook also gives an added entry so let all your friends and family play along with you! resistance bands are great to take with you while traveling, I use mine in the hotel at the airport during long lay overs! they also make a great gift! I would love to try the bands...I need to exercise more!